So, it’s that time of year again, in which bloggers either do a post on their favourite novels/short stories of the past year or spend some time looking at seasonally topical reads. The season being Christmas, I’ve been mulling over some suggestions for you this past week. Unfortunately, mulling isn’t writing, and I’ve found myself feeling like Clark Kent must every time Lois Lane scoops him. In my case, the character of Lois Lane is played by one Michaela Gray, a.k.a. “The Bookaneer” over at GeekPlanetOnline . Hop on over and check out her article before I give you my list of Christmas themed reads. I’ll wait. And…we’re back. 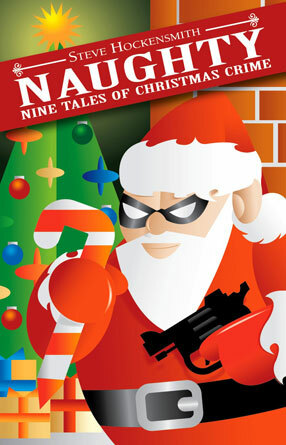 At the risk of being redundant, here’s my list of Christmas tales you should check out. The obvious choice on any Christmas themed list, Dickens’ A Christmas Carol, is the story of Ebenezer Scrooge and his one night journey to redemption after a little rough handling by the spirits of Past, Present and Future. Universally loved and a book that hasn’t really left the collective consciousness since its publication back in 1843. Now that’s a story with legs. Beyond the cheery message that no one is beyond redemption, what I find kind of neat about Dickens’ work is that it’s totally a horror novel. Think about it for a second. Some poor (well, rich) old geezer tormented by a host of spirits in the dead of night in a drafty old English mansion. That’s practically a Richard Matheson novel!. A Christmas Carol is truly a classic and deserves top billing on any Christmas themed list. It’s to my eternal shame (okay, maybe not eternal–how about transitory?) that Adam Roberts’ re-imagining of Dickens tale has sat on my shelf low this past year without being read. It’s especially puzzling considering my continued interest in funny zombie novels. The idea of the three ghosts teaming up with old Ebenezer to combat a hungry horde of shambling zombies and by happenstance save the world is definitely appealing to anyone with an interest in the walking dead. I’m not sure it will have as happy an ending as the original, but I am sure there’ll be a meal somewhere along the way. 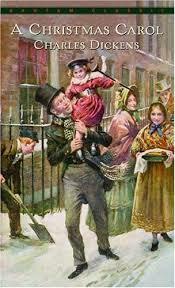 Although I doubt there’s a lot of meat on Tiny Tim, or Scrooge for that matter. Steven Hockensmith is a wonderful mystery writer who’s turned his attention to Christmas themed mysteries on several (at least nine) occasions. If you’re a fan of the genre and looking for something with a Christmas(y) feel to it, then Naughty is the book for you. My favourite tale involves the kidnapping of a certain man in a red suit by members of the KGB and Mrs. Klaus efforts to effect his rescue. Poisoned fruitcake, devious secret santas, and an introduction to Hannah Fox, a character I hope to meet some day in her own novel, all make this a novel that any mystery lover should invest in. Do yourself a favour and pick it up as either an ebook or print version. Steve is a master of both mystery and witty dialogue and I’ve had a long history of not being disappointed with his writing. Speaking of short stories, Arthur Conan Doyle was known for writing a Christmas tale or two involving everyone’s favorite Victorian detective, Sherlock Holmes. Honourable mention goes to The Adventure of the Blue Carbuncle in which Sherlock shows considerable restraint with regards to a criminal whom he encounters at Christmas. George Mann has also made an effort to write a series of Christmas themed stories with regards to his wonderful Newbury and Hobbes series of Steampunk detective novels, all of which can be obtained if you pick up a copy of The Casebook of Newbury and Hobbes. Try reading Christmas Spirits if you’d like a unique take on A Christmas Carol involving a detective on an opium bender during the holidays. I’m sure there are many more Christmas themed tales that I’m omitting in the course of this holiday post. If you’ve got a tale or novel to add to the mix, please feel free to enlighten me in the comments, and in the meantime, enjoy yourself a merry little Christmas. Ever wanted to read some classic Science Fiction yet been unable to find a copy of your favourite author’s work? I myself have been fruitlessly looking for a copy of E. E. “Doc” Smith’s Lensmen series for a while now. Or, say you’re a fan of Murray Leinster. His works are out there, but few and far between. Well, someone’s decided to make sure that visions of future past don’t disappear into history. The good people over at engadget have a nice little profile of a bookstore in New York (Brooklyn to be specific) whose proprietors have dedicated themselves to bringing lost and out of copyright Science Fiction back into the mainstream. Singularity&Co. is a team of time traveling archivists longing for futures past. Each month, our subscribers help us choose a vintage, out of print scifi book to rescue (with the rightsholders’ permission). 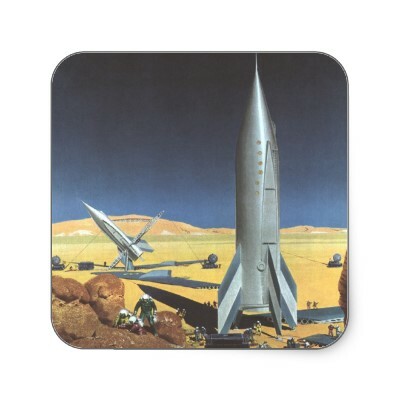 We’re bringing forgotten 20th century scifi into the 21st. They’ve dedicated themselves to scanning rare and classic Science Fiction books into a digital format and then releasing them as ebooks. If you’re an aficionado of classic SciFi, these are the people to watch! No, Mr. Bond. I expect you to buy! Good news for fans of Ian Fleming’s classic James Bond novels. Yesterday, Amazon confirmed that they’ve entered into a partnership with Ian Fleming Publications to license North American publication of the original 007 novels for the next ten years, both print and ebook. Great news, especially for Kindle owners! 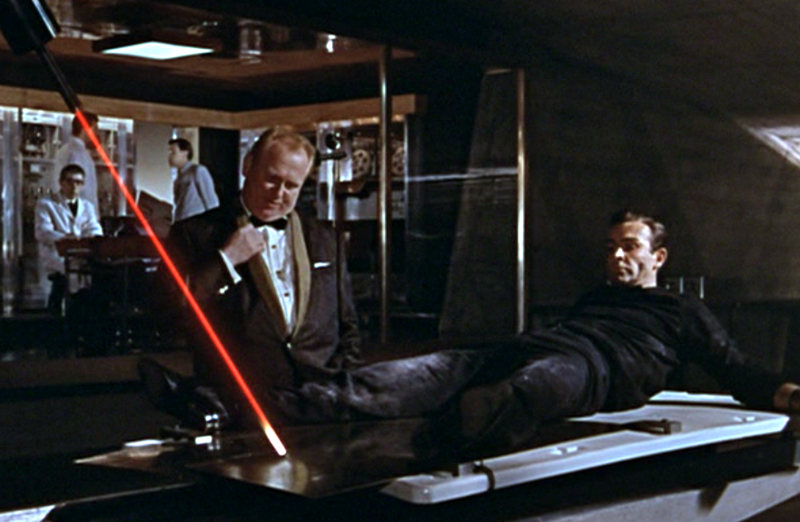 Of course, the Bond saga didn’t end with Ian Fleming’s death. Several authors have since taken up the reins and one in particular has had his license renewed. John Gardner wrote a further 16 Bond novels between 1981 and 1996 and Pegasus books began reissuing them as of October, 2011. 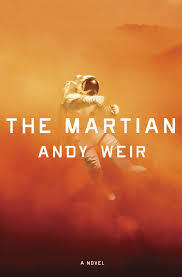 No news yet (at least as far as I’m aware) of ebook versions. So far in 2011, the tremendous growth of Kindle book sales, combined with the continued growth in Amazon’s print book sales, have resulted in the fastest year-over-year growth rate for Amazon’s U.S. books business, in both units and dollars, in over 10 years. This includes books in all formats, print and digital. Free books are excluded in the calculation of growth rates. In the five weeks since its introduction, Kindle with Special Offers for only $114 is already the bestselling member of the Kindle family in the U.S. Pretty amazing, considering the Kindle has only been around since 2007. Revolutionary even. Of course, every revolution has its casualties and the eBook revolution looks to continue that trend. There will be repercussions for the publishing industry, retailers, and eventually the consumer. Let’s explore the good, the bad, and the ugly of the rise of the ebook. Ebooks look like they’re here to stay, either in physical format (Kindle, Nook, Kobo et al) or as apps on other platforms such as the Apple iPad or Blackberry Playbook. Great news for those of us who jumped on the bandwagon early. No more worries about “niche” markets or disappearing fads. eBooks are discounted in comparison to physical print. Generally, a new release hardcover costs the same as a pocket novel when bought in eBook format. The consumer gets a break, and the publisher certainly doesn’t have the overhead that they would with print and shipping costs. It’s much easier for anyone to publish a book. No more book agents, rejection letters, etc. Simply write your book, pay your fees to have it digitized, set your price and go. eBooks could lead to greater variety at lower prices. It’s much easier for anyone to publish a book. Think about that for a second. Bad writing, bad or nonexistent editing, spelling errors–publishers have editors work with aspiring and established writers for a reason. Sifting through a lot of crap to find that rare gem is not something to look forward to. Now that retailers such as Amazon have a foothold on the market, will they (and the publishers) still feel the need to sell eBooks at a reduced price? One of the biggest draws of eBooks (for me) is their affordability, but as eBooks proliferate the market, what’s to stop the prices from slowly increasing until they are comparable to physical print? Physical print–with the increased pressure of eBook sales and diminished interest in a physical product–will book prices increase? Will print runs become shorter (and therefore more expensive) due to reduced demand? Who’s going to pick up that greater expense? What of brick and mortar book stores? Are they going to go the route of the video store? Technically, you don’t own an eBook, you lease it. Libraries have already run into problems with publishers who want them to pay up again (re-“lease” their titles) after a certain number of reads. Finally, how long will retailers maintain your eBook catalog? Say Amazon has a couple of bad years and ends up in bankruptcy. Then what? This is all conjecture for the moment. The industry is too new and the numbers too fluid to make anything but predictions, however, just like any revolution, the eBook revolution will radically transform the publishing industry in a very short period of time. Awhile back I read through Kevin Maney’s Trade-Off: Why Some Things Catch On, and Others Don’t, an interesting discussion of the conflicting forces that either spell success or failure of a new product or service. It all comes down to the battle between fidelity (the quality of a consumer’s experience) and convenience (ease of use and price point). With Kobo’s launch of their new Kobo eReader Touch, they look to be attempting both an eReader that surpasses the Amazon Kindle in fidelity,or “coolness factor,” while retaining a convenient price point. Engadget has a nice little review here. Well, hang on a second. You wouldn’t assume the people at Amazon are snoozing at the wheel, would you? Rumours persist that Amazon is poised to launch their own nifty new touch screen device in the form of a Tablet later this year. Technology Review has some neat talking points about what the screen might be like and Daemon’s Books has a brief post on how they might market it. Getting back to the fidelity vs. convenience argument, the question remains, will Amazon try to trump Kobo (and hey, maybe take a run at the Blackberry Playbook and Apple iPad?) 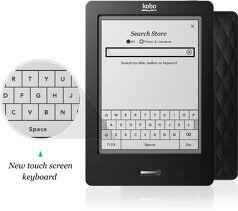 or create a touch screen just slightly cooler than Kobo’s at a similar price with maybe an App or two thrown in?